Osteoporotic vertebral fractures may be under reported, resulting in delayed treatment for osteoporosis, according to a study published in Archives of Osteoporosis. Vertebral fractures are the most common osteoporotic fractures. People with osteoporotic vertebral fragility fractures (VFFs) are at increased risk of future fractures, including potentially devastating and life-threatening hip fractures. Hip fractures are very costly to the healthcare system, and in the UK account for at least £1,1 billion in hospital costs alone. A new retrospective study by researchers at the University of Oxford has found that within a cohort of hip fracture patients many had previous imaging studies showing incidental vertebral fractures – but 54% of the vertebral fractures were not reported by radiologists. The study puts a spotlight on the under-reporting of osteoporotic vertebral fractures, particularly by radiologists who are not specialized in musculoskeletal imaging. The under-reporting is a missed opportunity for diagnosing and treating osteoporosis – and thereby reducing the risk of subsequent hip fractures. The researchers used data from the local Fracture Liaison Service to case-find all hip fracture patients from 2013 presenting to the hospital. They then identified the patients who had also previously undergone radiological imaging that included the thoracic and/or lumbar spine in the previous six years. All identified radiological images were re-examined for the presence of VFFs. Of the 732 patients over the age of 50 with a hip fracture in 2013, 157 had previously undergone a radiological procedure involving the spine. VFFs were identified in 41% of the cases (65/157). Only 30/65 cases (46%) were reported by a radiologist when the fracture was first visible. 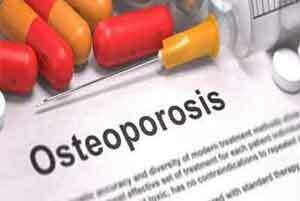 Non-musculoskeletal radiologists were less likely to identify vertebral fractures. 91% of unreported VFFs were from imaging reported by non-musculoskeletal radiologists. Only 25% of the patients identified with a VFF were reported as being on osteoporosis therapy at the time of hip fracture.